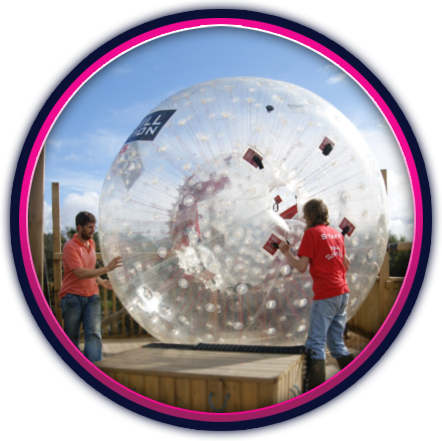 Situated in the beautiful coastal national park of the Bay of Brides, The West Wales zorbing venue has a 100 metre run, to give you the thrill of your life! The Pembrokeshire located zorbing site is approximatley 2 hours from Cardiff and 1.5 hours from Swansea, but a short distance from the Pembrokeshire national park. From Haverfordwest take the A287 towards St David's. At Simpson turn left and follow signs to Nolton Cross.